This collection of various popular songs, orchestral excerpts, arias, and melodies is designed to facilitate tone development and increase the player’s understanding of style. 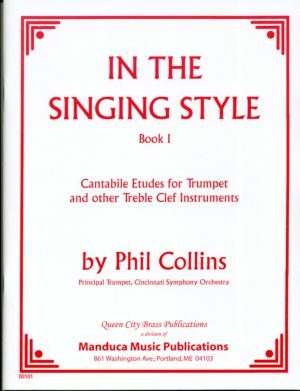 Edited by Phil Collins, a Principal Trumpet of the Cincinnati Symphony. This collection of various popular songs, orchestral excerpts, arias, and melodies is designed to facilitate tone development and increase the player’s understanding of style. This volume can be used by all treble clef instruments at various levels, from young players just learning the basics to professionals freshening their approach to great music. • Used extensively by many university and high school programs.